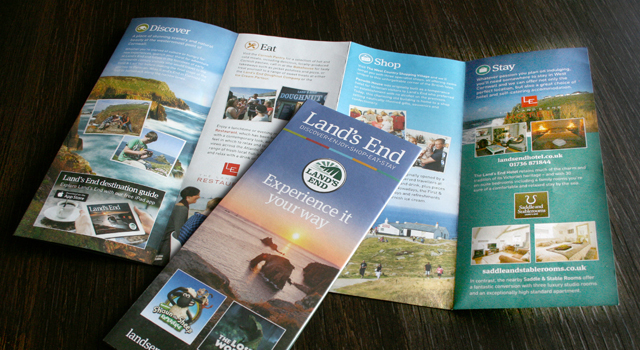 The target audience for Land’s End falls into a number of different consumer and business-to-business categories. We developed a concept that appeals to diverse audience depending on what the individual is looking for when choosing a ‘staycation’ or day out when in Cornwall. Key statements such as ‘Experience it your way’ and ‘Discover it for yourself’ were introduced supported by dramatic landscape photography, creating high impact marketing across a range of media such as press, outdoor and local bus advertising, online and also new website with CMS and online ticket sales.